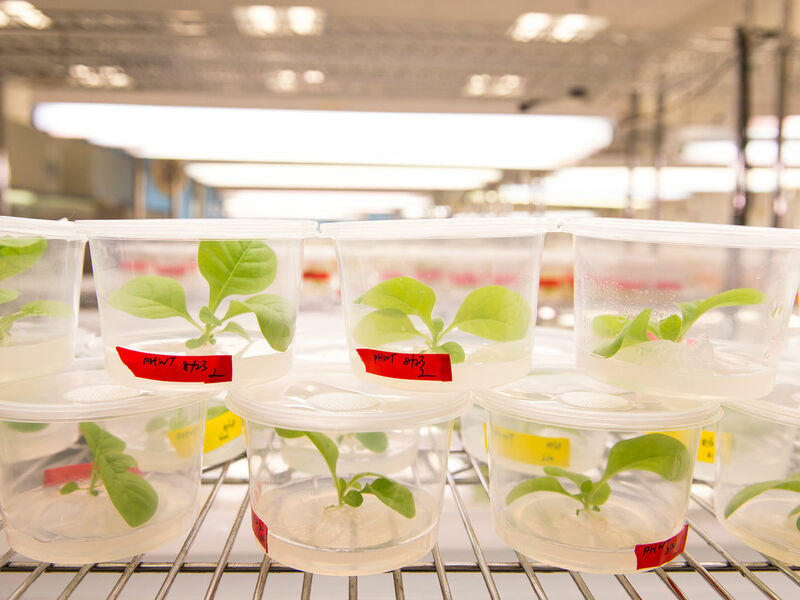 At the University of Pennsylvania’s School of Dental Medicine, molecular biologist Dr. Henry Daniell is advancing the use of plants to deliver medicine to the global population. Dr. Henry Daniell is a real-life superhero. 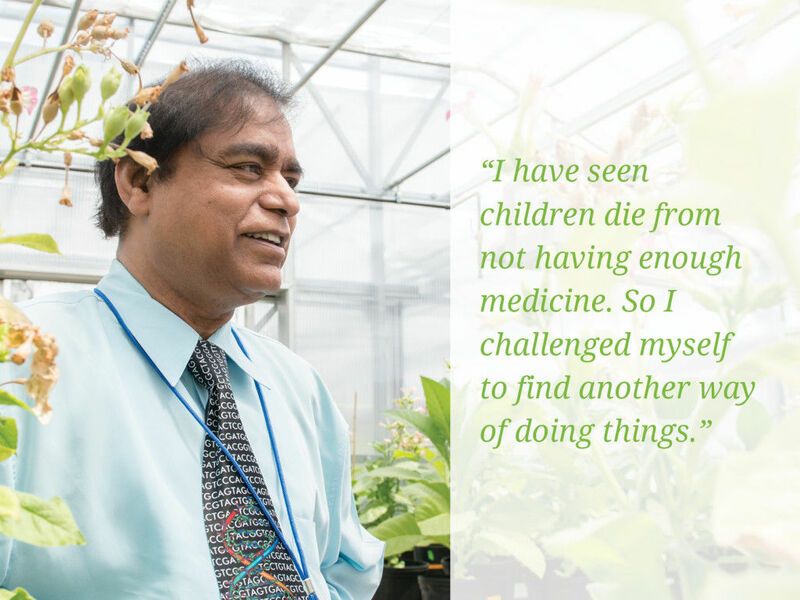 A native of India, he grew up watching children die because they did not have access to medicine. Inspired to make a difference, he has been researching a more cost-effective way of getting the global population the medicine it needs. His solution? Plants. 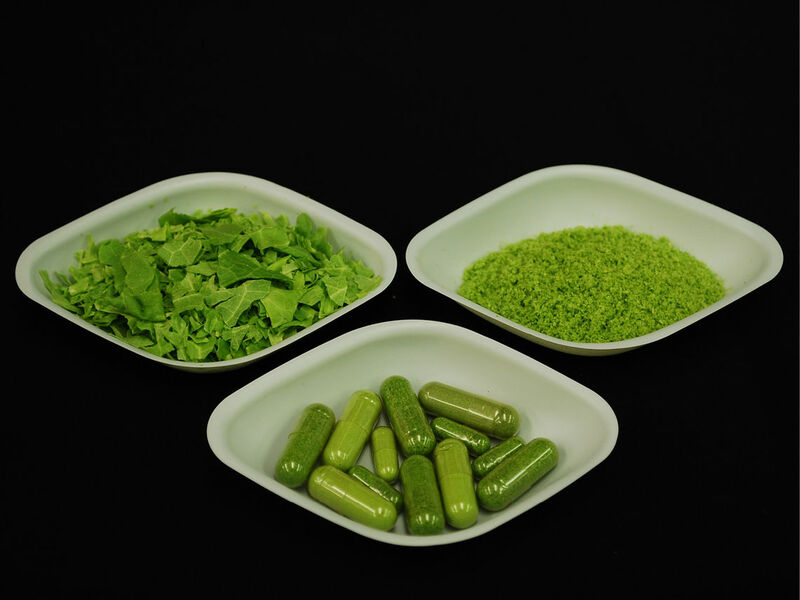 Drugs made in plants can be orally delivered in capsules, thus eliminating the need for the expensive production methods of today. In 2013, Urban’s engineering team worked with JLL, the international commercial real estate and investment management firm, on the expedited construction of a $2 million, 2,900-SF greenhouse, funded by Penn’s School of Dental Medicine, for the doctor’s research. Urban’s corporate development team had the privilege of getting to know Dr. Daniell while photographing his high-tech greenhouse. Here is what we learned. The Doctor – As we arrived at the greenhouse, the doctor was waiting expectantly to greet us and welcome us into his facility. Tucked away at the back of an industrial property on the south bank of the Schuylkill River, the greenhouse is the first new construction on this site in many years. Penn acquired the site in 2010 and aims to repurpose it as “Pennovation Works” a hub for research and innovation. The greenhouse is definitely unique, one of only a few like it in the world. The doctor walked toward us with his hand extended, a smile on his face, and eagerness in his approach. He was wearing a tie that was appropriately adorned with strands of DNA. Given his stature, you would suspect him to carry an air of conceit. On the contrary, right away everything about the doctor exuded friendliness and sincerity. We entered the front door into a holding area where we waited before entering the main part of the greenhouse. The doctor cautioned us that the outer door needed to be shut first before entering because of strict climate controls. It was hot and humid, in the high-80 degrees, yet the greenhouse was noticeably cooler and less humid inside. The doctor explained that the greenhouse’s side and roof panels shift in reaction to the amount of daylight. This, in coordination with the internal cooling fans, help keep the air temperatures between 73.4 degrees and 75.2 degrees Fahrenheit to ensure optimal plant growth. 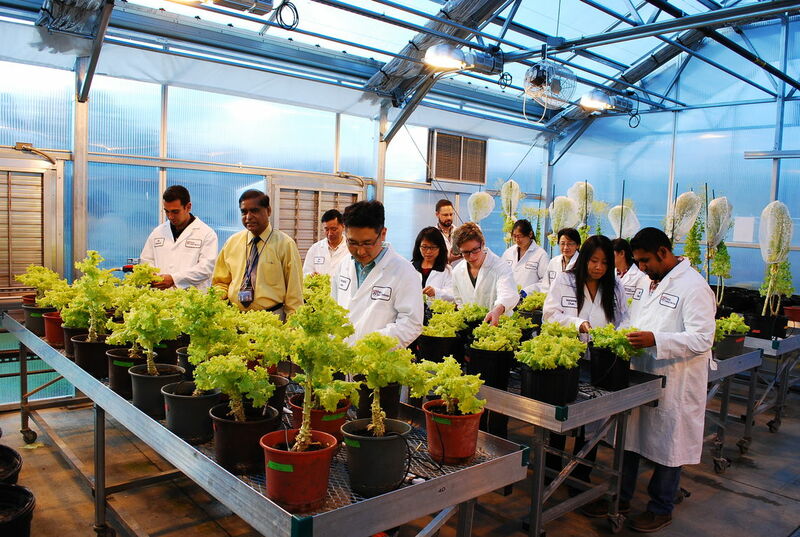 The Living Greenhouse – We entered the first room, which contained rows of tables of lettuce plants at various stages of growth. The doctor, standing next to one of the lettuce plants, began explaining, “Insulin is a drug that has been commercially available for 50 years, yet is simply too expensive for the majority of the world to pay out of pocket,” he says. “Especially when you consider that one-third of the global population earns less than $2 per day.” Protein drugs like insulin, or interferon for cancer, are currently produced in fully sterile fermentation systems that cost hundreds of millions of dollars to maintain. The drugs, which are cultivated in cell cultures of yeast and bacteria, are required to be purified to 99.99%. “Many vaccines are based on ‘killed’ or inactivated viruses, but there’s no such thing as 100% killed,” he claimed. This process results in each batch costing millions of dollars. Additionally, the required “cold chain” of refrigeration increases the cost of vaccines and makes them difficult to transport to remote areas in developing nations where electrical connections are scarce. This past year, for instance, issues with the availability of cold storage facilities led to polio outbreaks in Asia. Insulin is a drug that has been commercially available for 50 years, yet is simply too expensive for the majority of the world to pay out of pocket,” he says. “Especially when you consider that one-third of the global population earns less than $2 per day. Another advantage, Daniell said, of using plants to deliver vaccinations is that plant cells have fibrous walls made of cellulose, which cannot be broken down by human enzymes, though they can be degraded by the microbes that reside in the gut. “All we needed to do was add a tag that enables the vaccine to be able to cross the epithelial wall,” he said. “I looked into nature for other tags that cheat our system and observed how cholera and HIV tags worked. I attached the cholera tag to the insulin and watched where it went.” The experiment worked. As a result, the doctor was able to develop a variety of tags to effectively get vaccinations into a plant’s genome. He had yet to develop a way to get the tags into the plant’s fibrous cell walls. Fortunately, at about the same time, scientists at Cornell University were testing a “gene gun” concept. “They were actually trying to shoot dye into pollen and playing around with that concept,” Daniell said. So, the doctor made the nearly 700-mile round trip numerous times from Boston to Ithaca to test the new method. Eventually, they made it work. Growing A Cheaper Drug – By discovering this technology, he was able to accelerate his research. Today, in the lab he uses a “gene gun” very similar to the one he developed years ago. But instead of real bullets, which were used at one time, this contemporary method utilizes a high-level of helium pressure of 1,300 PSI. As a reference, the doctor reminds us, a car’s tire pressure is just 32 PSI. Now, Daniell can grow all the different tissues of a plant starting from a single cell in a culture dish. He can make modifications to one plant cell and, from that, grow a plant in which every cell has those modifications. We continue walking through the greenhouse, passing through three separate doors into rooms housing various plants. In the first two rooms were lettuce plants. 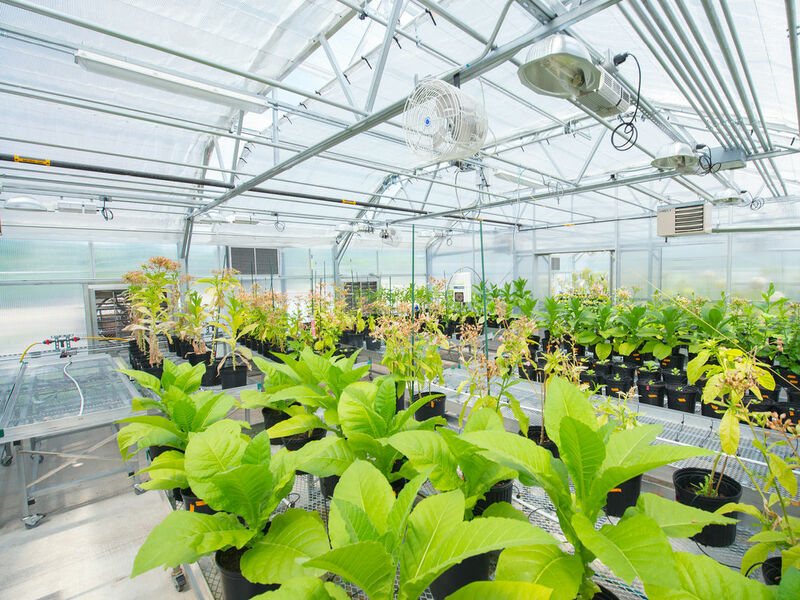 The last contained tobacco plants. The plants are grown on elevated tables to permit ideal working height for the researchers and drip irrigation is used and connected to each individual plant to ensure optimal moisture. At the back of the greenhouse, there was a small room for monitoring the greenhouse’s climate controls. At any time, Daniell’s colleagues can check and change heating, cooling, humidity, and irrigation from their research offices on main campus. In his grand vision, though, the doctor believes that one day people afflicted by diabetes or hemophilia could actually grow their own medicine. 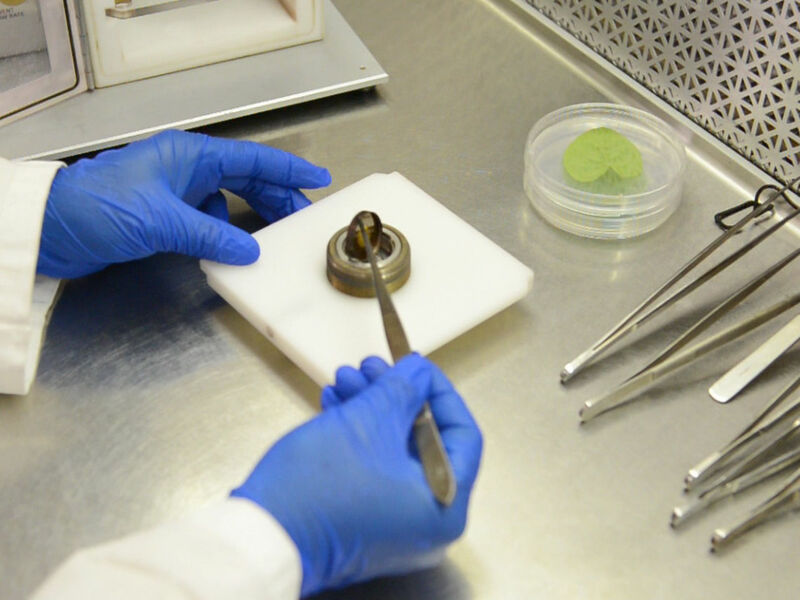 As the plants grow to maturity, they are harvested and taken back to the lab for drying and testing. After drying, they become just like kitchen herbs commonly used for cooking and similarly, they have long shelf-lives. We asked him if people could actually eat one of the lettuce plants to receive their dosage of medicine. Dr. Daniell thought that this would be risky. He said that plants are made almost entirely of water and therefore have to be dehydrated first to help measure the exact dosage. In his grand vision, though, the doctor believes that one day people afflicted by diabetes or hemophilia could actually grow their own medicine. This leads to discussing the other major advantage of using plants. They can be easily grown. In addition to low cost, he said, production capacity is unlimited. According to the doctor, one acre has been shown to produce more than 300 million doses of anthrax vaccine, enough to protect all Americans from a bioterror attack. Conclusion – In addition to furthering Dr. Daniell’s research, the greenhouse is helping train the next generation of scientists develop affordable drugs for world. On several occasions during our visit, the doctor spoke about it with wonder. We thought, ‘this man’s a genius, yet he’s amazed by how the greenhouse works?’ According to Daniell, Penn has already signed a $100 million agreement with a major global pharmaceutical company to produce two protein drugs. Research on polio vaccines made in plants is now funded by the Bill and Melinda Gates Foundation and is pursued in collaboration with the Federal Drug Administration. Negotiations are in progress with three other pharmaceutical companies. On the way back to Urban, we talked about the amazing impact that Dr. Daniell’s research could have on future generations. Beyond just learning more about the greenhouse, we were honored to have become friends with the doctor and feel privileged to help share his mission of saving lives irrespective of their economic status, race, or origin.